If it’s a Google product and it’s on mobile, it’s getting a card-based user interface. 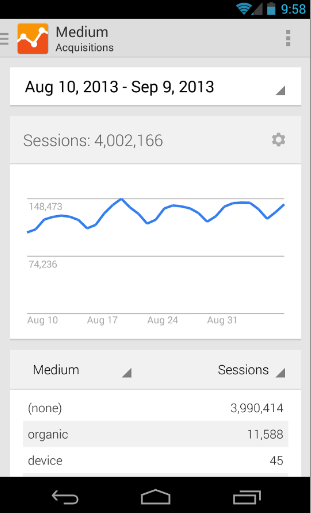 The latest product to get this treatment is Google Analytics for Android. With today’s update, though, the app isn’t just getting a new look. It’s also getting a slew of new features based on feedback Google received from the 700,000 users who have already downloaded it. In addition to the card-based UI, Google added a few other design-centric features, including its standard slide-out side navigation bar. This update also introduces new visualizations for your stats that automatically resize to fit your screen size and orientation. On a small screen, Google argues, users can quickly become overwhelmed with too much information, so with this update, all the relevant metrics are now spread out over multiple cards so users can get an overview of what’s happening on their sites and then drill down deeper as needed. As for features, the app now puts a stronger emphasis on real-time data, a feature Analytics first introduced in 2011 but only really started to emphasize over the last few months. 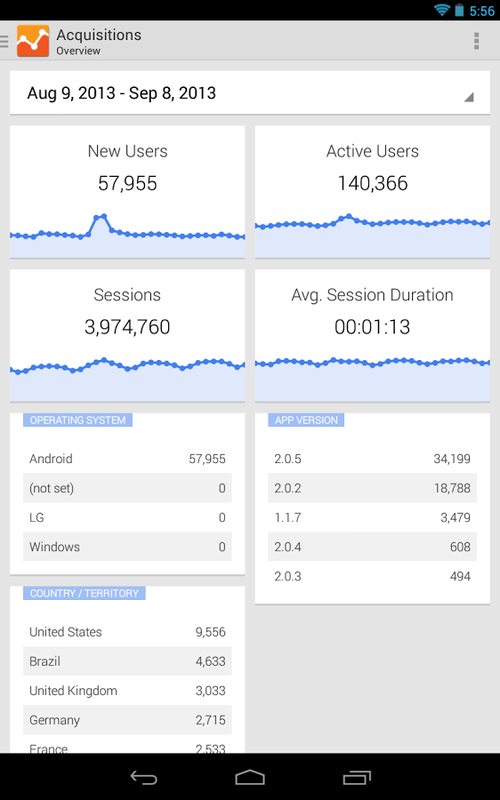 The app now also supports Analytics’ Advanced Segments for isolating and analyzing specific types of traffic (say visitors from users who also recently purchased something from your online store) and presents an overview screen for each one of your Analytics reports that allows you to drill down deeper into your most relevant stats to get a closer look at your data. Google developed the app using the Google Tag Manager for Mobile Apps, which allows developers to make small changes to their installed apps on the fly without having users download a new version of the app. Because of this, the Google App team says, it will be able to quickly add new reports and visualizations to the app without having to update it.